Posted on March 15, 2015 by Tom Richardson Posted in Cell phone & Computer Monitoring Reviews . 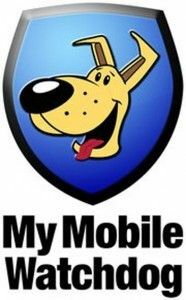 My Mobile Watchdog is a spyware which helps parents to control the usage of their child’s cell phone. This tracking software allows parents to spy on their children’s Android online activities safely and effectively. It takes several minutes to install this mobile spy and then you can easily track your kid any time you wish in your online account. What is more, this cell phone tracker allows you to block certain activities. For instance, a person can block apps from working or specific websites. Find the answers to all your questions regarding the kids monitoring and tracking in the FAQ section of the website. In case there are still some questions remain, you can contact My Mobile Watchdog through e-mail. My Mobile Watchdog cell phone spy costs only $4.95 per month. What is more you get a 14 day free trial to test this monitoring application. This mobile tracker does not require any contract, so you can stop use this cell phone spy any time. Compatibility Basically, My Mobile Watchdog is available for Apple and Android cell phones. However not all the functions are available on iPhones. So, it is better for you to check this information before purchasing this spyware. My Mobile Watchdog offers a free trial for 14 days, so you could test the app before purchasing. In case, you have purchased the software and you are not satisfied with it work and you want a refund, you are welcome to contact support team.